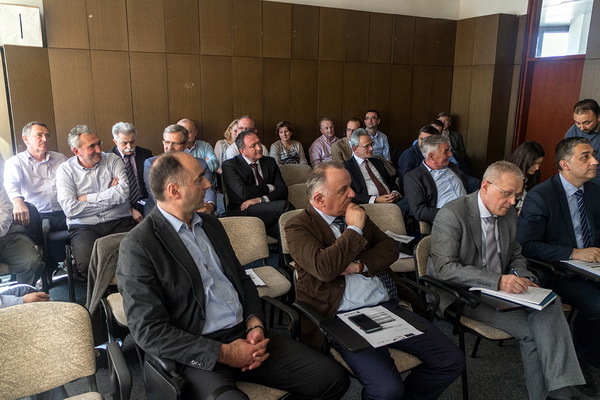 In premises of the Chamber of Commerce of Republika Srpska, the third, this time joint, meeting of Sector Boards of Metal and Wood Processing Industry was held on subject of harmonization of labor supply and demand. The meeting was attended by, besides directors of companies who are members of the Sector Boards of Metal and Wood Processing Industry, representatives of the Ministry of Industry, Energy and Mining of the Republika Srpska, the Ministry of Education and Culture of the Republika Srpska, the National Employment Service of Republika Srpska, the Institute of Adult Education of Republika Srpska, the Pedagogical Institute of Republika Srpska, the Chamber of Commerce of Republika Srpska, the Republic Agency for SME Development – project Prilika Plus, the Faculty of Mechanical Engineering, the Agency PREDA-PD from Prijedor and the Center for Vocational Education of Adults – WMTA. At the meeting, opinions and experiences on implemented and ongoing activities on harmonization of supply and demand of labor were exchanged and activities whose implementation is planned in the forthcoming period were discussed. Comments and suggestions of participants during the meeting were used for preparation of draft action plan for harmonization of supply and demand of labor, which will be further developed. It was concluded that improvement of quality of labor is extremely important for metal and wood processing industry, which plays an important role in economic development of this area. That is why it is necessary to strengthen cooperation of companies with relevant institutions and organizations in preparation and implementation of activities and measures aimed at improving labor. Plans for improvement will be precisely developed and implemented in accordance with defined priorities, with adequate participation and cooperation of stakeholders. 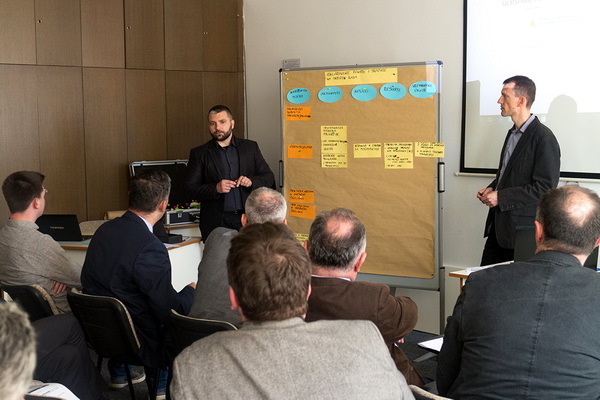 The meeting was organized within a joint EU and German Government Programme for Local-Self Government and Economic Development in BiH – EU ProLocal, implemented by GIZ, while representatives of Eda moderated the meeting.